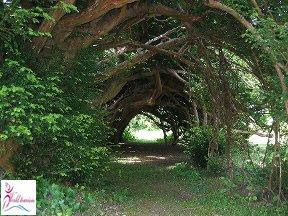 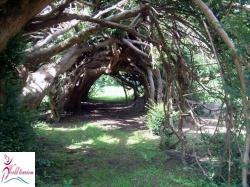 The Yew tunnel (Aberglasney gardens U.K) is about 250 years old. 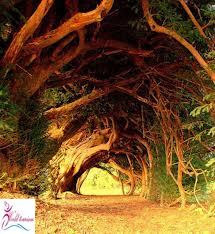 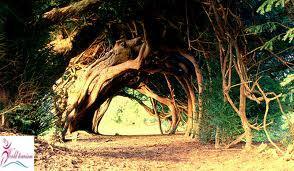 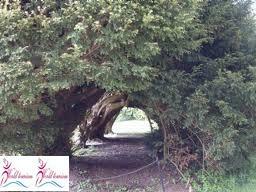 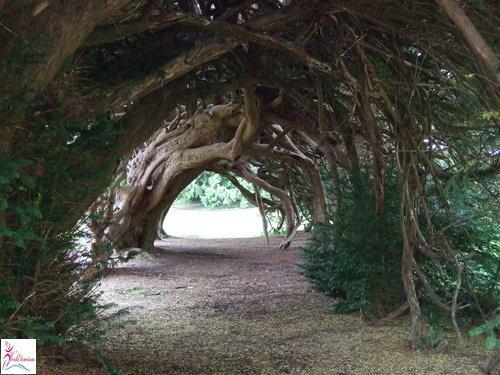 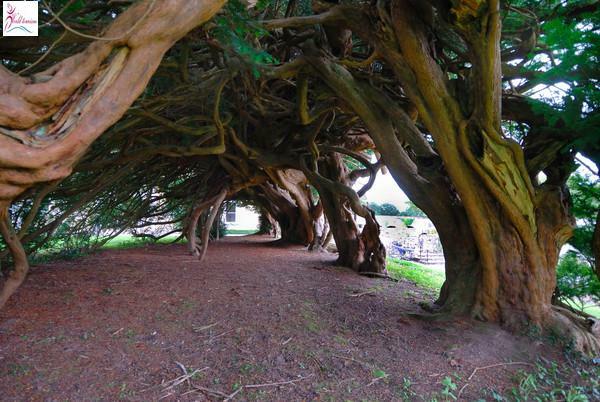 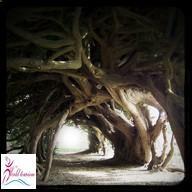 It is assumed that yew tunnel was planted during eighteen century, by Dyer family. 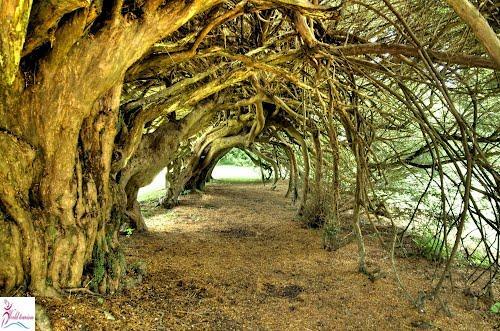 It is unique in the U.K. 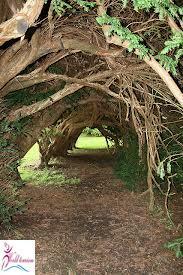 When the trees had grown tall bent over to form an extended Arch. 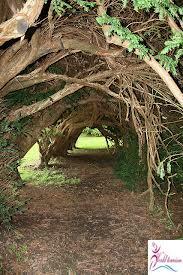 And this way the great beautiful Yew tunnel formed. 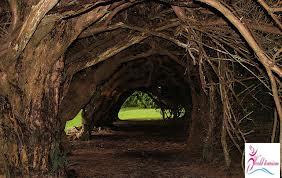 The trunks spread all over and branches get fused in such a way that is present it is not possible to find out how many separate trees are available in the vast mass of this venerable growing gallery.